Consume: 3. 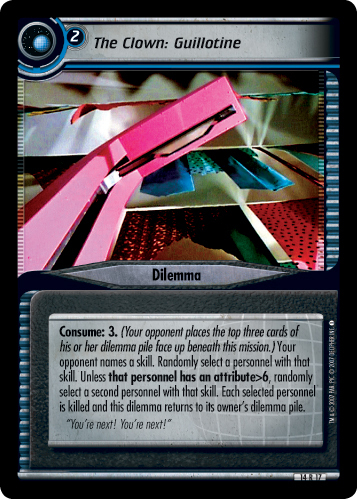 (Your opponent places the top three cards of his or her dilemma pile face up beneath this mission.) Your opponent names a skill. 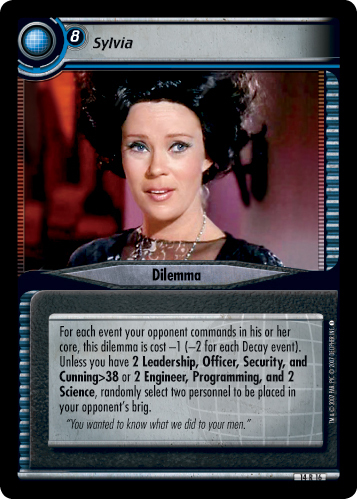 Randomly select a personnel with that skill. Unless that personnel has an attribute>6, randomly select a second personnel with that skill. 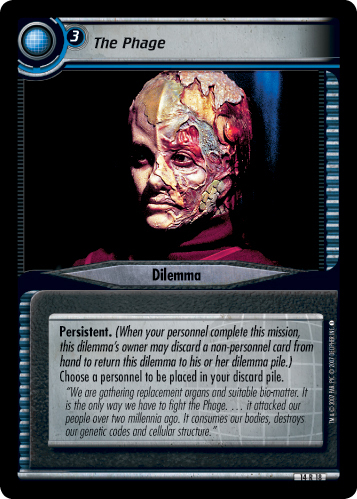 Each selected personnel is killed and this dilemma returns to its owner's dilemma pile.